Flower delivery to Voronezh is available in the following towns: Kominternovsky, Leninsky, Levoberezhny, Sovetsky, Tsentralny, Zheleznodorozhny. Pine-trees groves in the lowland of the Voronezh River make up an atmosphere of health and well being in Voronezh Oblast of Russia. Voronezh, the administrative center, is abundant in culture, history and legends for visitors to enjoy. The famous imposing monument Divnogorye and Divnorsky monastery which is a group of unique Orthodox Churches impress any tourist. Besides, there are a lot of theaters, museums, fitness complexes, night clubs, restaurants that make Voronezh a great attraction of Russia. But there is another attraction for you and that is your woman. You might be far away from each other, but explosive passion bursts from your soul. You would like to embrace and kiss her tenderly… but you can’t… You know that a caring gesture of love will keep the fire burning in your relationship. So, send your feelings wrapped in beautiful flowers via Megaflowers. Send flowers to Voronezh, Russia and impress your sweetheart to the core. 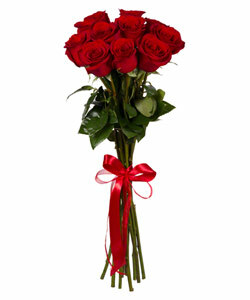 Megaflowers offers fresh and high quality flowers that provide long-lasting beauty and aphrodisiac fragrances. View our extensive collection and send the bouquet that shows your feelings best. Short or long stemmed flowers, simple or elaborate arrangements; here you’ll find the perfect gift. As you know, Voronezh flowers express your message better than thousand words. Send her red roses as a token of your true love, orange lilies as a symbol of desire; yellow chrysanthemums if you’re her secret admirer or sunflowers if you simply adore her. You can opt for a single-flower bouquet or a mixed flower bouquet according to her favorite flowers and colors. We also have a wide range of houseplants that will lighten up her day and bring joy to your life . 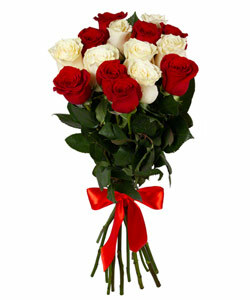 Voronezh flower delivery is a fast and easy way to declare your love. Send her a floral arrangement and enjoy the glorious fireworks of love launched into the Voronezh sky.